Vanilla Mille Crepe, a renowned brand has opened their 3rd outlet in IOI City Mall Putrajaya to reach out to their mille crepe lovers. Well known for their signature mille crepes cakes which is made after layer after layer of paper-thin french pancakes held together with luscious pastry cream. Vanilla Mille Crepe versions consist of all sorts of drool-worthy fillings such as the Italian Tiramisu, Midnight Choc, Lemon Cheese, Orea Crunch, Salted Caramel and many more, Vanilla Mille Crepe offers whole mille crepe cakes at an affordable pricing of RM13.90. Here are some of the flavor I tested out during their opening, from left - salted caramel, original vanilla, triple chocolate and uji matcha green tea. My favorite was the salted caramel and uji matcha green tea, the green tea mille crepe was filled with green tea infused cream and a fine dusting of matcha powder while the salted caramel suited my tastebud perfectly, it was not too sweet yet rich with salted caramel. Vanilla Mille Crepe serves coffee and tea as well with seatings for you to enjoy your cake right after shopping! If you have yet to try this heavenly dessert make sure you pay them a visit, they definitely make the perfect luscious treat to sweeten up your day. I thought crepe is like a thin layer similar to pancakes but this mille crepe looks exactly like a cake. Look so yummy. Nampak macam kek. Boleh lah try nanti. Awesome, I love crepe cakes! I was introduce to it by my former student. Sometime I order through friends whom bake. 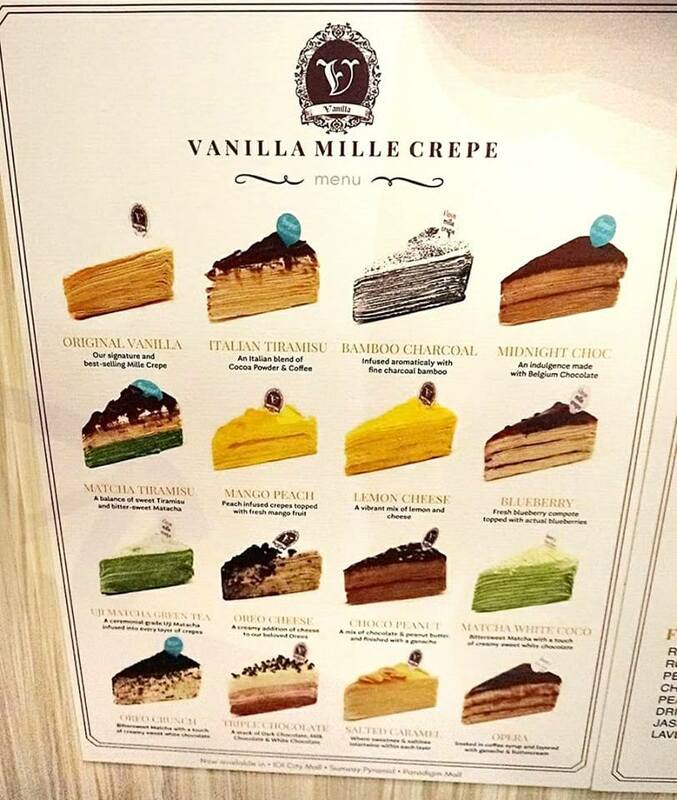 Now, there is Vinalla Mille Crepe at IOI Mall just nearby to Bandar Baru Bangi with more cakes selection. So many flavours of crepe. Yummy... I going to try it out. waa.. sedapnya !!! kalau kek biasa dah selalu makan, sesekali try mille crepe pun best juga..
Crepe pun boleh jadi macam-macam. Bila dilapiskan beberapa keping jadi macam kek pula. Kreatif! Nanti boleh cuba! Menariknya crepe kat sini. Susah nak buat crepe yang berlapis cantik begini. Harga pun ok boleh beli. akan pergi cuba di Paradigm Lah nanti. Tak sabarr. anyway wow crepe still trending now! menariknya cake dekat situ.... suami dan ank saya fav flavor durian...ada tak? I saw this the other day in IOI City Mall but purposely not stopping as I know that I can't control myself. And now after reading your review, I feel that I must go there and get myself one (two or three) of those delicious desserts! I love crepe cake! 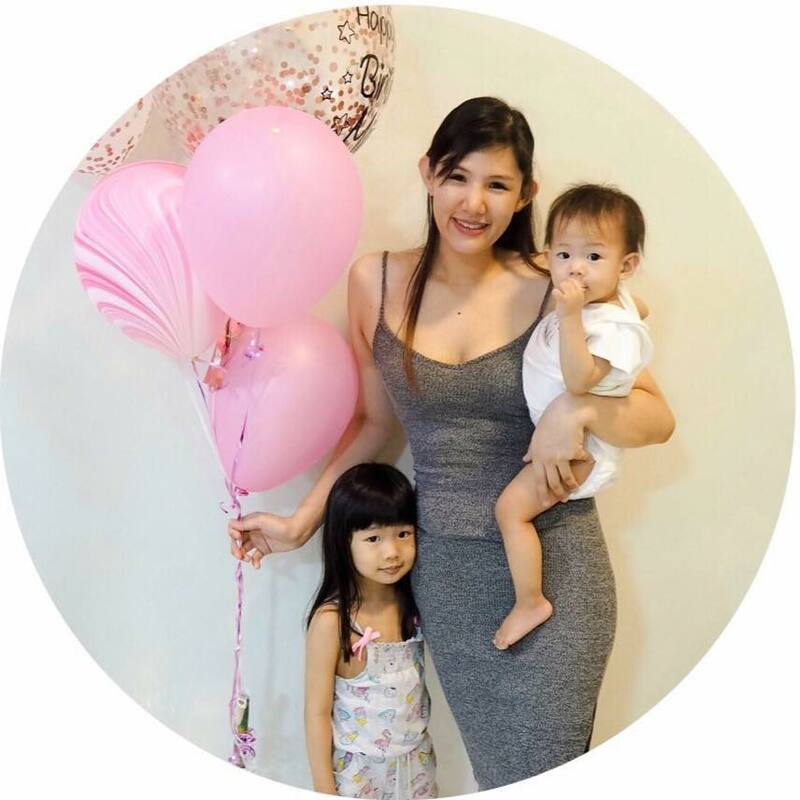 Tengok gambar pun dah rasa terliur.